Intelligent, gregarious, and driven, Barbara J. Hansen lived a life rich in family and service. While direct and clear in her communication, Barbara loved people and never met a stranger. She was smart, confident, and committed to her job and her family. 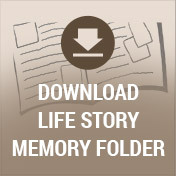 A devoted mother and grandmother, Barbara cherished her family and considered each moment they shared a priceless gift. With the rearming of US forces in the early 1940s, the strains of the Great Depression began to ease. Americans’ incomes grew, and their increased spending further fueled the economy. In 1941 the optimism of leaving the depression behind juxtaposed with the escalation of the war in Europe dominating world affairs. While Citizen Kane, Dumbo, and The Maltese Falcon drew patrons to the theater, Glenn Miller, The Andrew Sisters, and Jimmy Dorsey filled the airways. Despite the ominous winds of change blowing in from Europe, the foundation of hope and generosity our nation had firmly rooted itself in as a result of the preceding decade’s hardships could not be shaken. It was within this overwhelming feeling of fortitude, generosity, and hope that Donald and Enid Crapo welcomed their daughter Barbara into their hearts and home on October 31st. Growing up as the oldest of the Crapo children in Vicksburg, Michigan, Barbara’s childhood was rooted in the values of family, faith and hard work. While Enid worked as a nurse, Barbara’s father worked as a bookkeeper for Upjohn. From her earliest days, Barbara possessed the qualities of a leader. She was not only smart and disciplined, she was a natural people person who could get along with absolutely anyone. 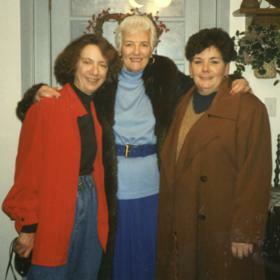 The fact that she was a firstborn who naturally looked out for and often organized her younger siblings, Don, Sandy and Carol proved valuable training too. 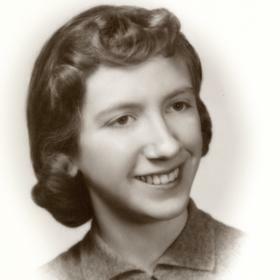 During high school, Barbara was a valuable member of the debate team, future nurses’ club, and future homemakers’ association. She also participated in both the school and her church’s choirs. After graduating from Vicksburg High School in 1959, Barbara attended Bronson School of Nursing. Driven to grow her knowledge and skills, she later earned her Master’s degree from Western Michigan University. In time, Barbara was blessed to become the mother of two sons; Scott and Jeff. Her boys were her pride and joy and sharing their lives her greatest privilege. Getting to watch them grow into fine men with families of their own proved her heart’s delight. Her grandchildren Zachary, Tyler, Kyle, Ryan, and Julia were treasures, and Barbara cherished every moment they shared. A perfect day for Barbara was any day spent in the good company of her children and grandchildren. In each of their eyes, she could see the bright spark of her legacy and her greatest hopes for the future.  Nursing was more than a career to Barbara, it was a calling. With everything she had, she poured herself into ensuring the good care of her patients and the proper support for her co-workers. 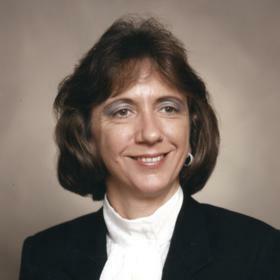 Over the course of her long career, Barbara worked in direct patient care, became a nurse trainer, served as vice president for the Delano Clinic at Borgess Hospital, and worked as a surveyor for the Joint Commission on Accreditation of Healthcare Organizations (JCAHO). Her 28 years with JCAHO afforded her the opportunity to travel extensively throughout the U.S. which she absolutely enjoyed. Always eager to lend her time and talents in service of others, Barbara also headed up the YWCA in Kalamazoo, MI. In 2017, at the age of 76 and after a long and robust career in the healthcare industry, Barbara finally retired. A woman of many interests, Barbara loved to garden, read, play the piano, travel, cook, and host family gatherings. A speed reader who could easily consume a novel in two hours, Barbara read more books than a person could count. Many of the books were devoured in various airports while waiting for her flights. She played the piano for pleasure and also served as a church organist. Barbara’s favorite vacation place was Alaska, and she had the good fortune to go there multiple times. While work and vacations took her to every state in the nation, her favorite place to be was with her family. She loved to cook for them and often served her carefully canned delectables including her jam. Christmas, Easter, and Thanksgiving centered around her love infused meals and creating treasured memories together. In quiet moments, she enjoyed the companionship of several dogs over the years and the relaxing powers of working a beautiful cross stitch. Clearly, it is difficult to imagine life in the absence of Barbara’s steadfast presence. May it afford deep comfort to know that the best of Barbara’s legacy lives on in the hearts of those she loved. With each book we read, flower we tend, trip we take, and homemade jam we savor, we celebrate the many ways Barbara gifted our lives. In so doing, we keep our treasured memories and her spirit alive. Barbara Jean Hansen, 76, of Portage, MI, passed away Friday, July 6, 2018. Barbara was born to Donald and Enid Crapo in Vicksburg, MI., on October 31, 1941. An informal gathering and celebration of life will be held on Friday, July 13, 2018, from 4:00 p.m. to 7:00 p.m. at the Rupert & Durham Chapel of the McCowen & Secord Funeral Home; 409 S. Main St. in Vicksburg. 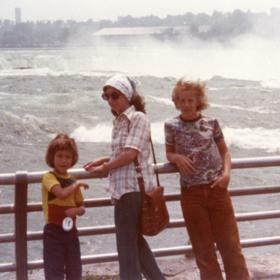 Barbara is survived by her sons: Scott (Janene) Rawlinson of Mattawan, MI., and Jeff (Patricia) Hansen of Portage, MI. ; Siblings: Donald (Bonnie) Crapo of Freemont IN. and Sandy (Dan) Minger of Vicksburg, MI; Nephews: Brian (Tonya) Minger, Brent Minger, Darryl (Heather) Crapo, Greg (Lisa) Crapo, and Christopher (Katie) Martin. Grandchildren: Zachary Hansen, Tyler Rawlinson, Kyle Rawlinson, Ryan Hansen, and Julia Hansen. Great-nieces Josie K Martin and Megan Crapo; Great-nephews Brendon Martin, Cole Martin and Dyllan Crapo. She is preceded in death by her parents Donald and Enid Crapo, mother of many years Maxine Crapo, and beloved sister Carol Ann (Crapo) Martin. 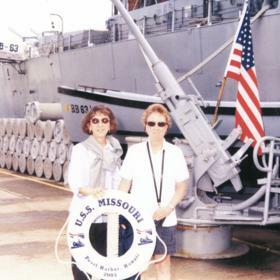 Please visit Barbara’s memory page at www.mccowensecord.com where you can sign her guestbook online and share a memory. Memorial donations can be made to the Bronson School of Nursing.